It is Thanksgiving Day here in the United States. This uniquely American holiday is supposed to remind us of all that we have to be thankful for, both as individuals and as a nation, but I fear that this sometimes gets lost in our collective national appetite for overindulgence (we don’t stop eating until we feel remorse) and entertainment (Macy’s Parade, football, holiday TV specials). That we carry out these traditions in the company of our closest friends and family members is important and perhaps even the saving grace of the day, but have we lost the true spirit of Thanksgiving? I was at my daughter’s school last week for Turkey Bingo. At this event, 25 lucky families won a turkey. We did not, although we came within a B11 of winning. 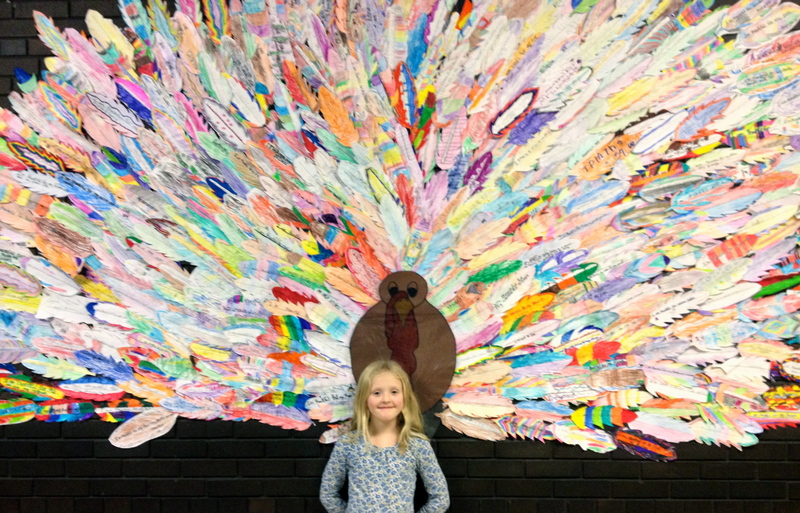 As we were leaving, she grabbed my hand and said, “I want to show you something.” She led me out into the hall to a giant, colorful turkey on the wall. She explained that each of the students had written what they were thankful for on a feather. My daughter goes to a school that has a large number of English Language Learner students. Many came to this country as refugees from Somalia or other countries in East Africa, but she also has friends who came to this country as refugees from Tibet or were adopted from orphanages in China. There are also kids at her school from Central and South America. Sometimes we forget that the Pilgrims were refugees. In England, they were persecuted on account of their religious beliefs. They took the tremendous risk of coming to this new land in order to be free to practice their own religion. And giving thanks for their freedom was a big part of the first Thanksgiving. As I looked at that turkey on the wall of my daughter’s school, I had a moment of inspiration. When all of those individual feathers, childishly and colorfully decorated, are put together, you get a lovely image. But you also get much more. When all of those truthful and thankful thoughts are put together, you feel the true spirit of Thanksgiving. And that is the inspiration and the spirit in which I hope to celebrate this holiday. Happy Thanksgiving to you and yours, from me and (one of) mine! Great post! You may like to read my post on change also. Thanks very much for stopping by! I look forward to reading your post. I can’t help but think how fortunate your daughter is to go to school and grow up amongst those who are from different cultures. To her it will be a natural and accepting part of life. I know we are a long long way from eradicating prejudice and bigotry; perhaps we never will. But bringing up young people in this way is surely a step in the right direction. Thanks for this inspirational post. Lingeringvisions, nice to meet you! When I look around her classroom, I see a true American “melting pot”. I can’t help but feel that being in this mix will have a positive impact on her worldview. My (older) sons are at a different school which is far less diverse. While the test scores at their school are much better, sometimes I feel that they are missing out. Thanks very much for your comment! Nice to meet you as well, and your welcome. This recent election made it even more clear to me about the need to teach tolerance and acceptance. I have to work at it sometimes. It’s very easy to blame circumstances on a group of people that have no identity to me. For her and the path she is on that won’t even be an option. So thank YOU! Love this post. So many great messages in here. Thanks much! I really appreciate you reading and commenting. Best wishes! I really have to meet you one day, Jennifer!! I still think of you everytime we get the Human Rights kermit the frog book out to read. You are having an impact on so many people!! And I agree, so many great messages here! I feel sure that we will meet in person one day, Jen! 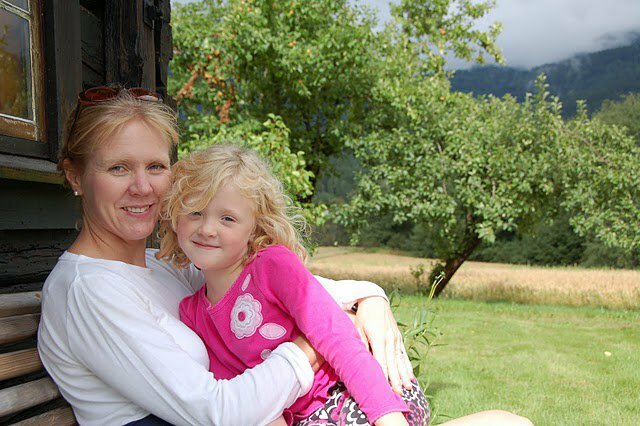 And thanks for widening all of our impact through World Moms Blog. Enjoy your well deserved vacation! I love you and your daughter! And I loved the photo with the turkey……. Thanks so much! That thankful turkey makes me tear up every time I look at it. Thanks for your comment! Thanks so much for your comment, lolakojane! Thank you, xristinamaria! Best wishes to you, too!